Great item for curling team fundraisers! 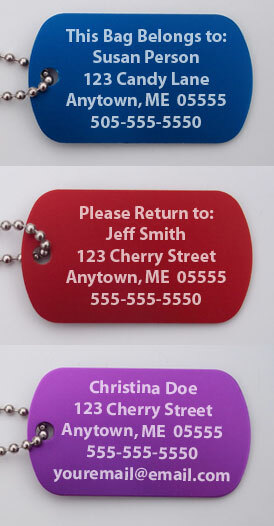 Design is laser-etched on one side of a colored anodized aluminum 1-1/8"x2" bag tag. 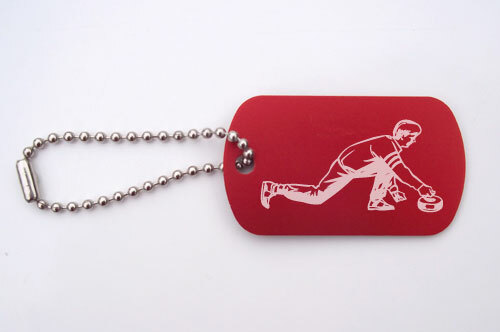 Your custom text will be engraved on the reverse side. There can be up to 25 characters on each line (including spaces). Choose from 3 colors. Note: Colors may vary slightly.